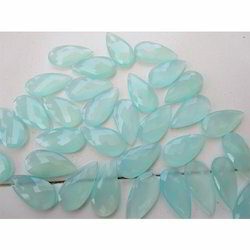 Our range of products include aqua blue chalcedony gemstone, natural blue gemstone and apple green gemstone. 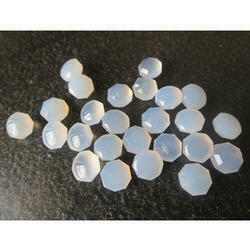 With vast industrial experience and deep knowledge, we are well known supplier of Aqua Blue Gemstone that is available in a variety of designs and colors. Perfect the look for an upcoming wedding party with this gemstone, it is crafted by using premium grade basic material as per with the latest fashion trends. In addition to this, offered gemstone is checked on various quality parameters by our adept quality experts. Keeping in sync with the times, we are engaged in offering a wide assortment of Natural Blue Gemstone. Artistically styled in a classy slithering pattern, our offered gemstones are available in the market in various designs, sizes and colors to choose from. The provided gemstones are designed by our skilled professionals using innovative technology to offer a classy range in compliance with latest fashion standards. Our enterprise is engaged in offering an appealing collection of Apple Green Gemstone that is a party wearing which make the wearer a center of attraction. Designed with the best quality basic material and modern technology, this gemstone is in compliance with the set industry standards. We offer this gemstone to our clients in different attractive designs, sizes and patterns. Moreover, we provide this gemstone to our esteemed clients at market leading prices.